Chase Plaza, between William and Broad Streets in Downtown Manhattan, offers that rare trifecta: light, space and art. 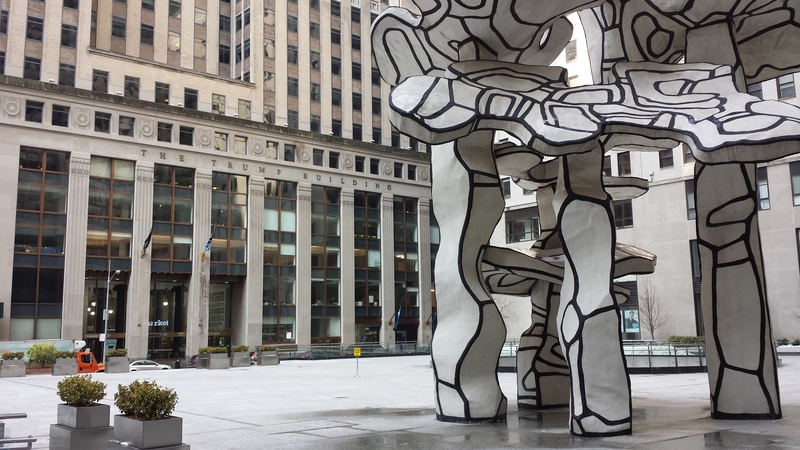 Jean Dubuffet’s Group of Four Trees dominates the space. 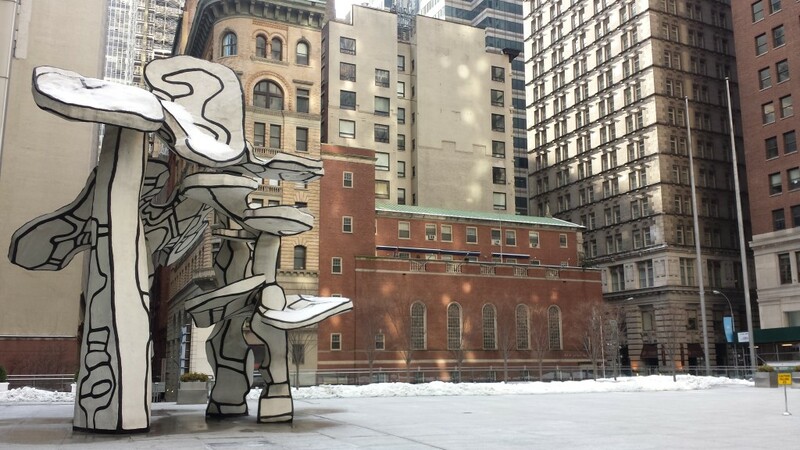 Made of fiberglass, aluminum and steel, Jean Dubeffet’s work was erected in 1972 and stands four stories tall. 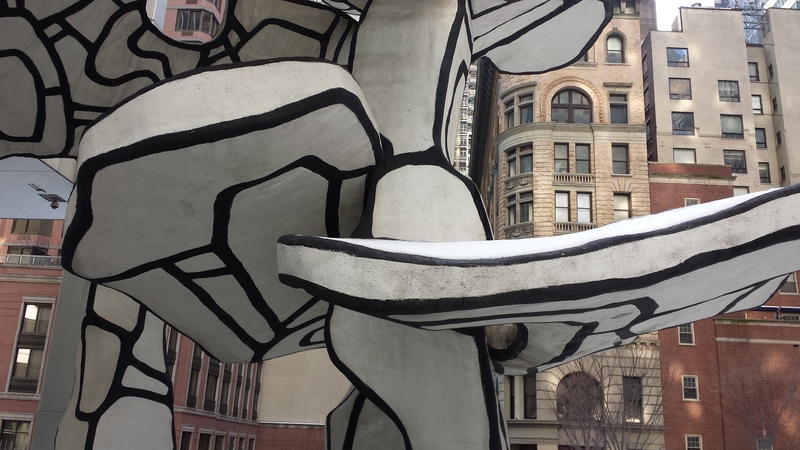 The sculpture is one of the 14,000 works in Chase Manhattan’s private collection. * This being one of the few that the public can see. 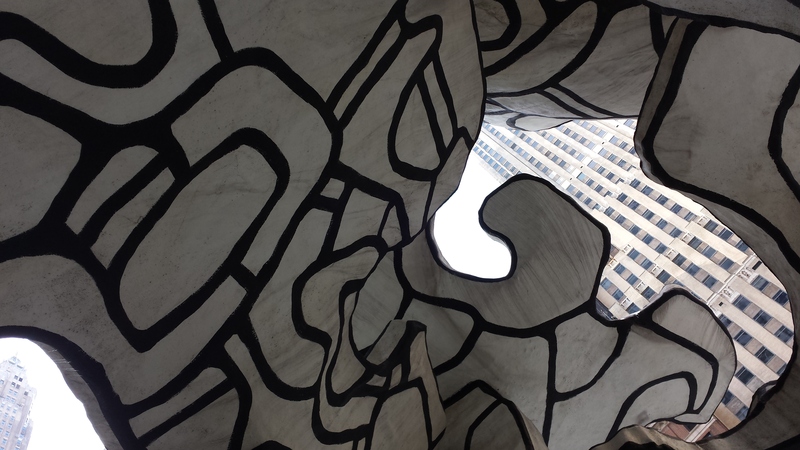 This entry was posted in new york city and tagged Chase Plaza, Downtown Manhattan, Group of Four Trees, Jean Dubuffet, New York City by McPhedran. Bookmark the permalink. That is great! 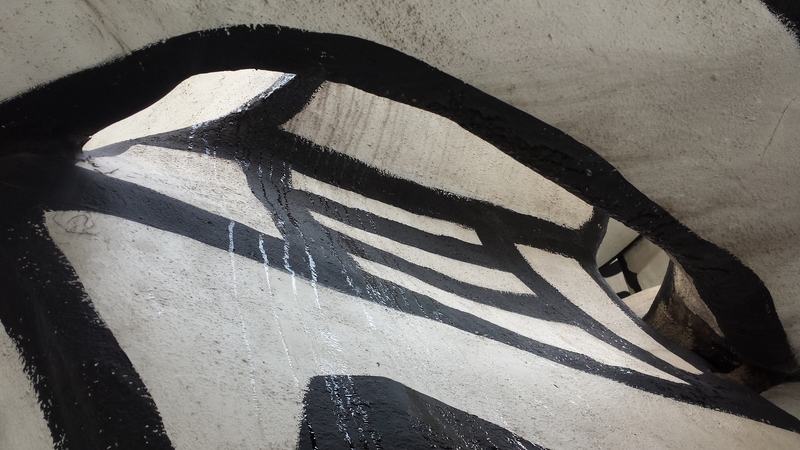 And in the same Chase Plaza, there is also the Sunken Garden sculpture by Isamu Noguchi- a pearl! 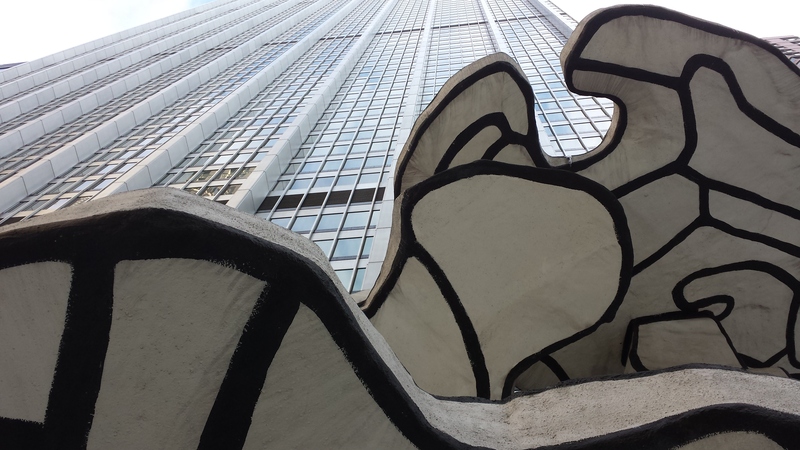 Thanks for these insights into overlooked Manhattan. There is the sunken garden too!